In the past 10 million years, a series of stars in the Earth’s neighbourhood exploded, raining a radioactive form of iron onto our planet that left its signature in the material beneath the world’s oceans. The remnants of these supernovae hit the Earth between 1.5 and 3.2 million years ago, Scientists believe. The international team of researchers examined over 100 samples from beneath the Atlantic, Pacific, and Indian oceans, discovering evidence of the relatively recent supernova explosions as well as even older ones. The radioactive iron, called iron-60, has a massively long half-life of 2.6 million years. The scientists used other radioactive isotopes to date the samples they examined. The researchers estimate that the massive explosions occurred within 326 light years of the earth, and that it took about 200,000 years for the radioactive iron to travel to our planet. 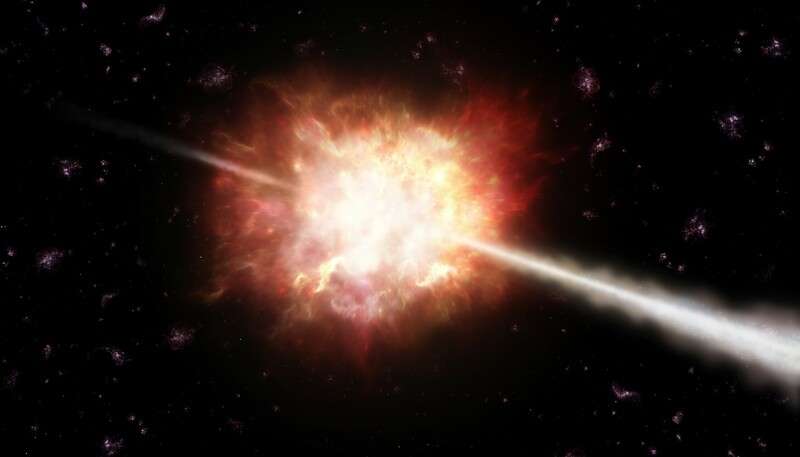 The supernovae would have been so large that they would have rivalled the moon in its brightness and been visible during the day, the scientists think.